Next Meeting: ” 7 Habits of Highly Frugal Genealogists” June 24, 2014, 7:30 p.m. | Southington Genealogical Society Inc.
Next Meeting: ” 7 Habits of Highly Frugal Genealogists” June 24, 2014, 7:30 p.m.
Free webinar about inexpensive Genealogy. Become a frugal genealogist. Learn the money saving methods of performing genealogical research. On Tuesday, June 24, 2014 the Southington Genealogical Society will present a webinar, 7 Habits of Highly Frugal Genealogists with permission from Legacy Family Tree Webinars and author Thomas MacEntee. The webinar was originally presented on April 2, 2014. The meeting will be held at The Orchards at Southington in their second floor community room at 7:30 pm. There is no admission charge and no obligation to become a member. No reservations are necessary. The facility is handicapped accessible with an elevator. 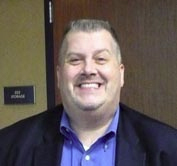 Thomas MacEntee is a genealogy blogger and webinar author. After 25 years in the technology industry he has brought his skill to the field of genealogy. Thomas enjoys helping other genealogists succeed, whether it is with their own research or building their own careers in the field. He is a member of GeneaBloggers and his website is High-Definition Genealogy.